Specialises in Meteorological Instruments since 1859. The LAMBRECHT brand is made up of many factors: the legendary product quality is no coincidence, but arises from the uncompromising vision of every single step from development to production. More than 150 years ago in 1859 the founder of the company Wilhelm Lambrecht began with the production of meteorological instruments. LAMBRECHT meteo is a young company that has been outsourced in 2015 from the traditional Lambrecht GmbH. Behind this stands a team of dedicated team of experts that is active in the market of meteorological measuring techniques for many years. What is our relationship with Lambrecht? 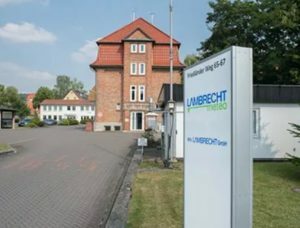 Action Instruments has been an importer and distributor of Lambrecht products for a few decades now and when it comes to meteorological instrumentation you can be assured that they follow the principles that is known of German manufacturers: Skills translating into quality and efficient engineering. In short their product are made to last. These units have a great reputation due to their German efficiency. We support Lambrecht’s product line through calibration and repair services here in South Africa, with a local repair and calibration lab. This serves as a good basis to help re-solve any difficulties, in the unlikely event of a issue occurring with a product. We therefor are able to support most product lines locally as a first line of defence. We also deal closely with the trade and have a network of close partners that help us to distribute the products in Southern Africa. As well as standard parameters like wind and precipitation measurement, data logger technology and meteorological software, Lambrecht’s product portfolio contains all other parameters relevant to meteorology. Therewith we provide complete solutions for almost all applications.